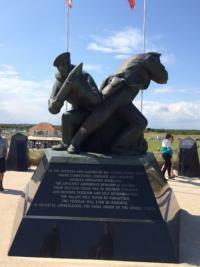 UTAH BEACH, D-DAY LANDINGS IN NORMANDY FRANCE - The Normandy landings (codenamed Operation Neptune) were the landing operations on Tuesday, 6 June 1944 (termed D-Day) of the Allied invasion of Normandy in Operation Overlord during World War II. The largest seaborne invasion in history, the operation began the liberation of German-occupied northwestern Europe from Nazi control, and contributed to the Allied victory on the Western Front. 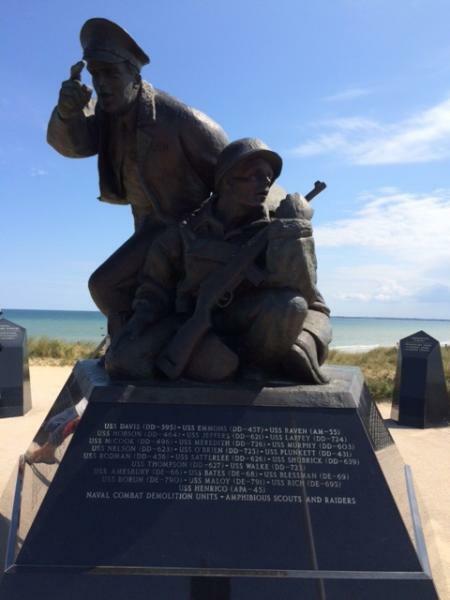 This story is about Utah beach. Mostly is known from films that it was allied of Americans, Canadians and British who landed in Normandy under heavy machine fire from gun and also shore was mined. Most of military landed at Omaha beach and Utah beach. 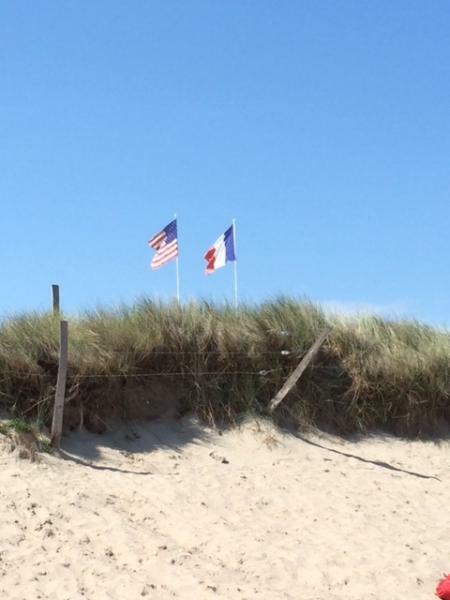 It is heard to believe under today's blue sky and lovely shore of France that, once upon a time, not so long ago here at Utah beach was one of the heaviest battle in World war 2, and that so many people died, write here as we were standing. It is hard to describe horror of the past on the perfect sunny day and the mild wind. I was trieng to picture from films in my head the horror of tousends of man who were fighting here for freedom, for their own lives. The sun was smiling at us, and the blood was long gone from the sand, however, we were very respectful of the place and we know exactly how heavy the battle was. 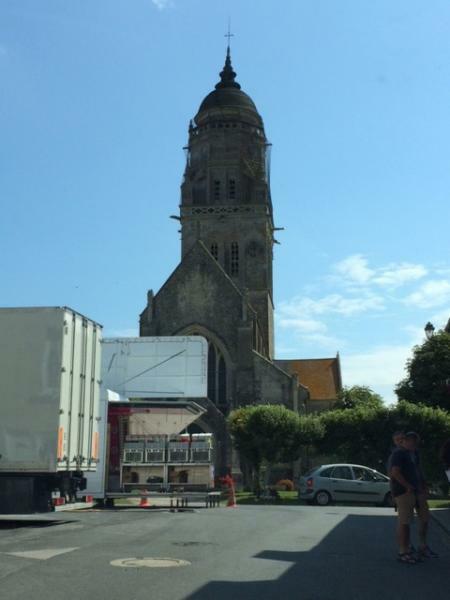 Here on our photos is also church in St.Mère-Église. That church is know, for one paratrooper fell on the bell tower of the church. He hanged at his parachute throughout the D day attack on the tower of the church and watched the battle. Here is also photo for Danish soldiers. 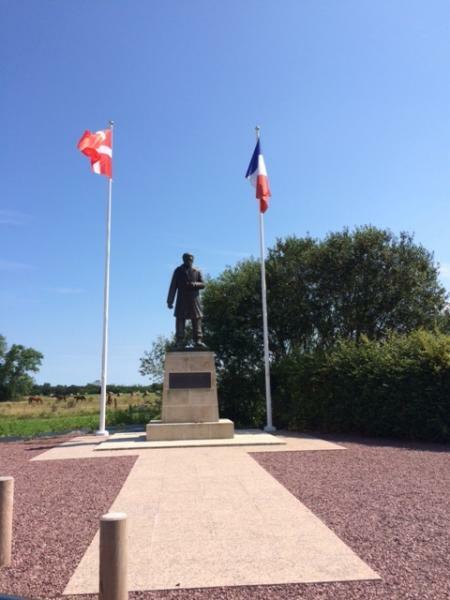 It is not quite known to mosto of people, about danish troops in D day.